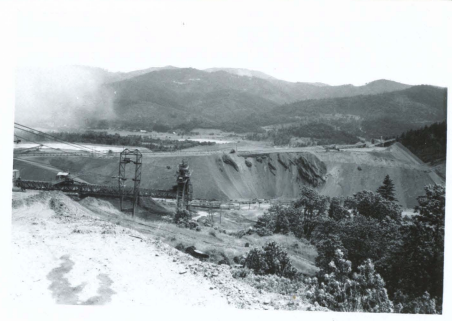 In 1961 the founders of Green Diamond looked upon a discarded 20-million ton mountain of nickel slag and saw not waste, but opportunity. Green Diamond began by making construction grits and abrasive blast media. As time passed and technology progressed, the process of refining materials became more efficient and new products were created. Year after year, Green Diamond continued to advance at the pace of industry and to enter new markets. 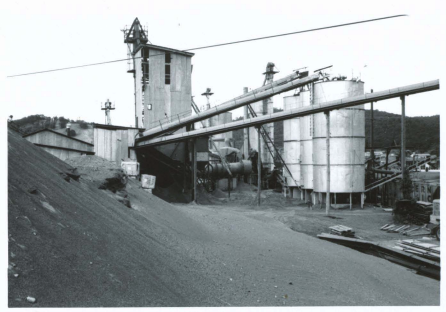 By the mid-90's Green Diamond had established itself as leading manufacturer of abrasive blast media, foundry products, roofing materials and specialty aggregates. Today, while these products remain as the central pillars of the business, Green Diamond continues to find new industries and uses for its still plentiful reserve. Green Diamond Performance Materials has diversified into many industries and has market presence both domestically and internationally. Production is handled by 3 separate facilities while head quarters remains in Riddle. From its humble beginnings of 3 employees, Green Diamond is honored to employ over 60 people and to be a staple of the community in which it was founded. Green Diamond West Plant and stock piles.